Appears this is the one you mentioned with Ms. Pearl Cox missing. Nope. 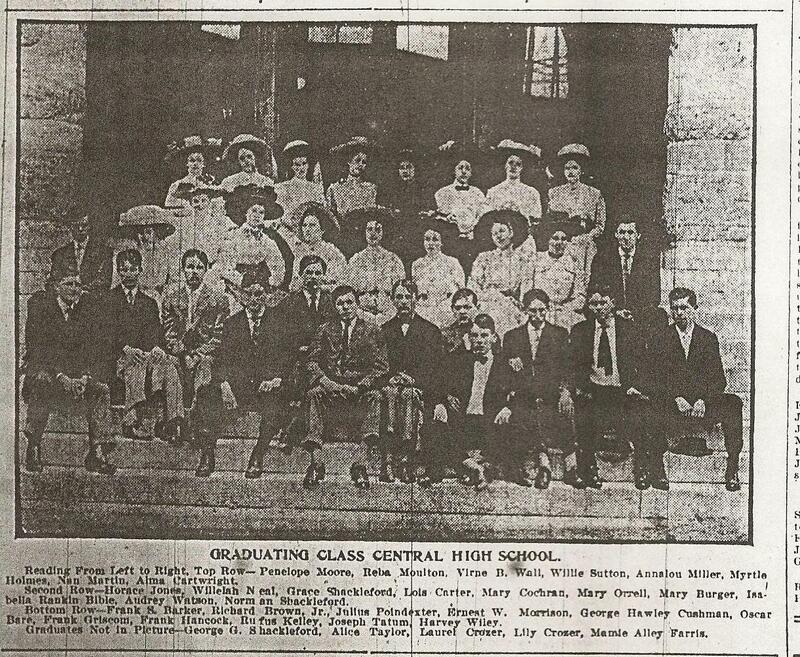 Pearl Cox (in the 1910 class picture) is missing from the 1910 grad list per the 5/25/1910 Times. All the above, including the ones not pictured, are accounted for in the write-up for 1909. We may have to contact heirs of the 1908 class to see if a class portrait survived (only 19 grads). Also the 1911-12 class pictures have eluded me (68 and 69 total persons). May have been too many for a class pic by then; we do have the individual pics from the 1911 Sleepless Eye, but 1912 may be a lost year for senior pictures. This is a great historical photo – great work. I have the original 1911 & 1913 Central Albums.